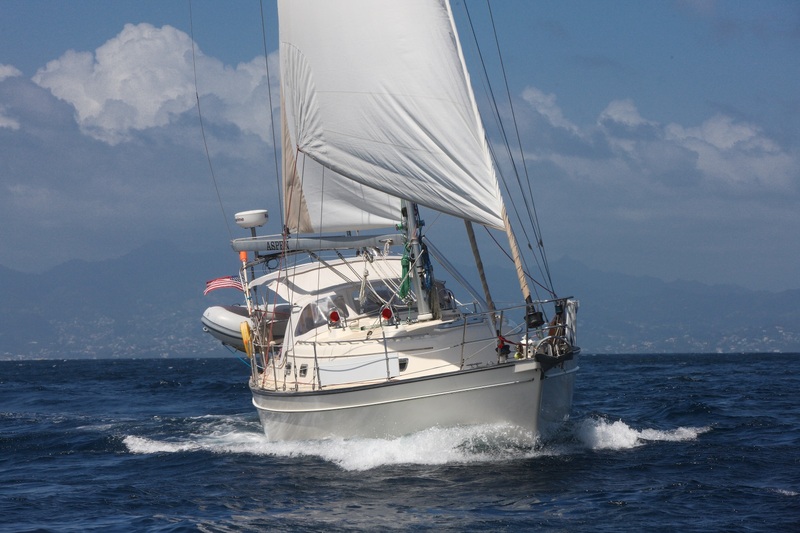 SY Aspen sailing south toward sweet Bequia with St. Vincent in the background. Sailors will notice the reefs in our sails! 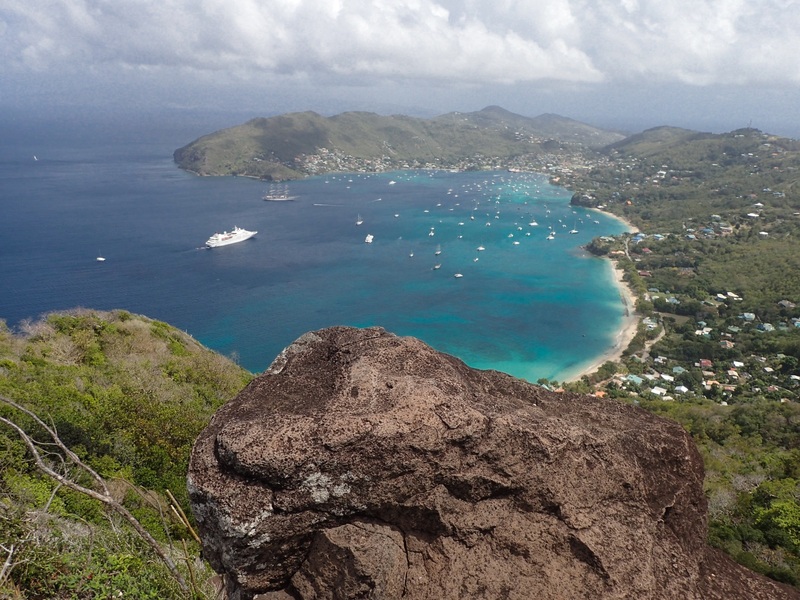 Admiralty Bay, Bequia, St. Vincent. Maria and I counted 130 boats in the anchorage in this view from the highest point on Bequia. Captain Steve and Admiral Maria sailing toward Bequia. Look at Maria's hair being blown by the trade winds. It was a bit blustery! 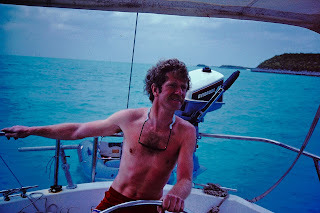 It was September of 1970 when I first sailed into Admiralty Bay, Bequia aboard the schooner, Flying Cloud. 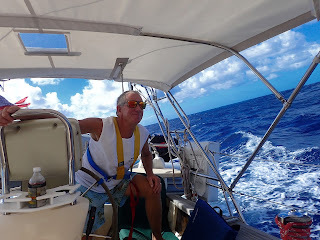 We were the only sailboat in the bay when the local boat boys paddled out to greet us as the ship swung at anchor in the magnificent sheltered bay on Bequia. 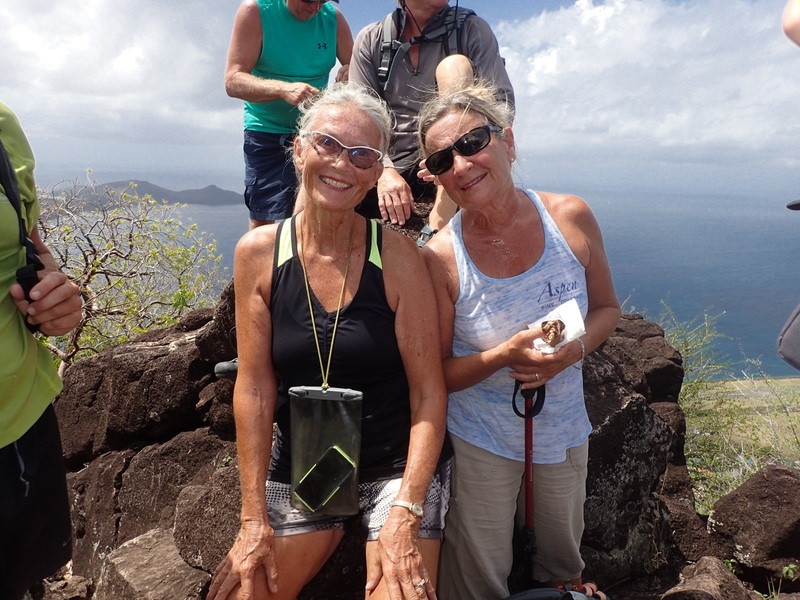 Today, Bequia has been discovered, as have most places in the Caribbean. Maria and I climbed to the highest point on Bequia, an outcrop called Peggy’s Rock, where we counted 130 boats enjoying the rhythm of sweet Bequia. The islands in the sun have surely changed, but that is part of life and we deal with it, or try to. Some things do remain the same on Bequia like Mac’s lobster pizza, the Green Bole for conch roti, the Frangipani for happy hour, the Whaleboner for BBQ, and oh so many other things. The locals still greet us with a friendly good morning or good afternoon as we walk the little streets in their villages or during my runs in the early morning hours. 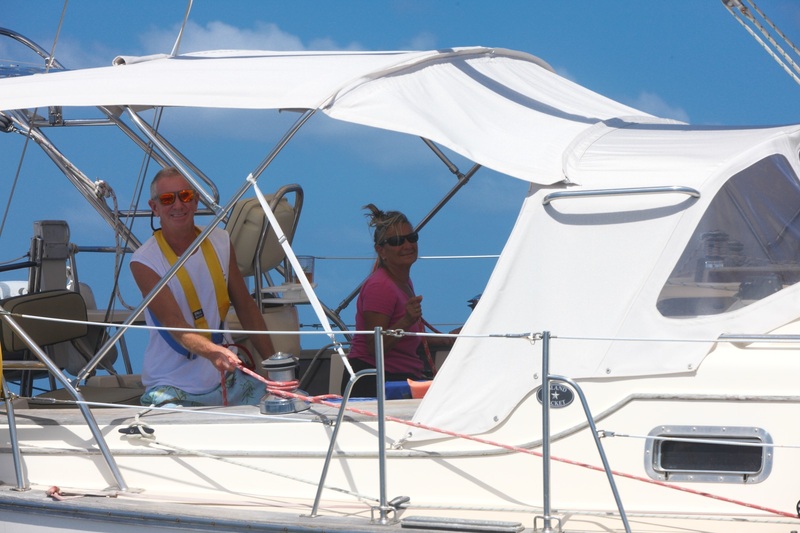 The culture and getting together with fellow sailors are what makes the Caribbean special for Maria and myself. 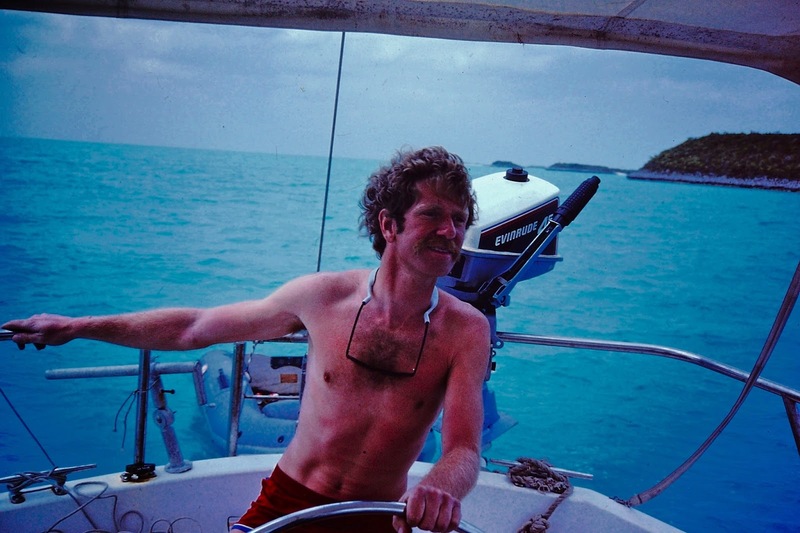 It was 32 years ago when Maria and I sailed the first Aspen away from friends and family to the Bahamas along with our son Zach. Since then a lot of water has passed under our keel. These days our more modern Aspen has safely taken us further away from home and even around the world crossing endless oceans. 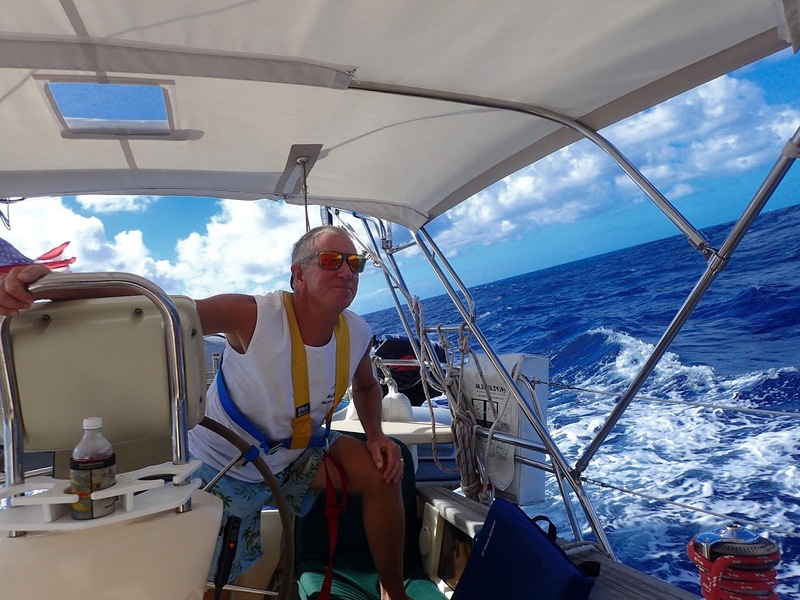 This sailing season is quickly coming to a close as we head south to Grenada where Aspen will be stored on land for the upcoming dreaded hurricane season.